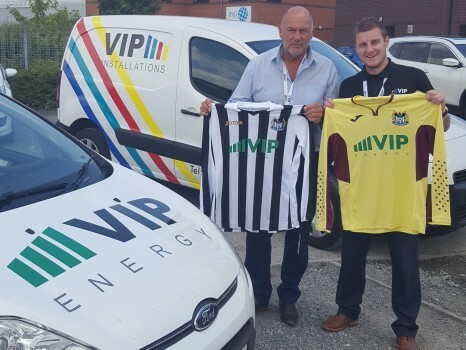 Hull based energy brokerage VIP Energy are proud to announce that they have sponsored the first team kit for local footballing side Westella & Willerby FC this 2018-2019 Season. Westella & Willerby FC are members of the Humber Premier League and play their home games at the Hilltop Sports Club in Cottingham which as a club they have called home since 2008. VIP Energy are part of a group of sister companies to VIP Communications in Hessle who have been providing business mobile telephones to companies in Hull and beyond for over 25 years. The new group company VIP Energy has been set up to help businesses all over the region benefit from reduced energy bills for their business premises. VIP Energy work with all major energy suppliers and have accreditation to supply green energy through their partners at ENGIE. Working with VIP Energy can save a business both time and money as they take away all the headache of searching for competitive quotations by providing you with a full, easy to understand market comparison. Combining that with their considerable expertise and knowledge of the industry they are then able to recommend a tariff best suited your business needs. To find out more about VIP Communications, VIP Energy or any of the VIP group companies please call 01482 346346.